The infamous rowhouse on 133 C St. 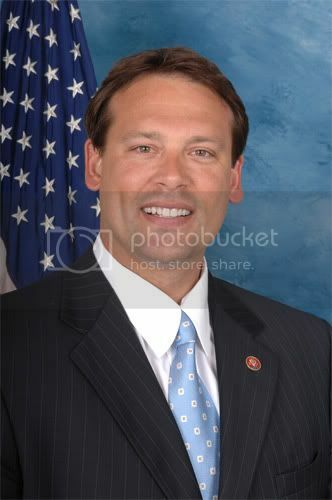 SE, a Capitol Hill residence that serves as a dorm and Christianist bible study group for pious adulterers members of the House and Senate, has become so radioactive that western NC Congressman anti-gay DINO Heath Shuler won't confirm whether he lives there. U.S. Rep. Heath Shuler, who publicly thanked his “Lord and savior, Jesus Christ,” upon winning his first election, has never hidden his Christian devotion. But he is remaining mum about whether he lives in “C Street,” a stately Washington home that serves as sort of a spiritual retreat for several congressmen. The Washington Post also notes that the home “pulsed with backstage intrigue” during recent scandals involving South Carolina Gov. Mark Sanford and U.S. Sen. John Ensign of Nevada. …Worldmag.com, a Christian magazine, listed Shuler, D-Waynesville, as a “current resident” of the house, along with Sens. Jim DeMint, R-S.C., and Tom Coburn, R-Okla., and Reps. Zach Wamp, R-Tenn., Mike Doyle, D-Pa., and Bart Stupak, D-Mich.
After it was discovered that a few GOP bunkmates were porking non-spousal babes breaking the sanctity of their marriages, I guess Heath's a tad concerned about some kind of image rubbing off onto him. Sadly, being associated with the bible-beaters won't hurt Shuler, even though part of his district includes liberal Asheville, which is surrounded by conservative Christian mountain folk.